Silver Spring, Md. 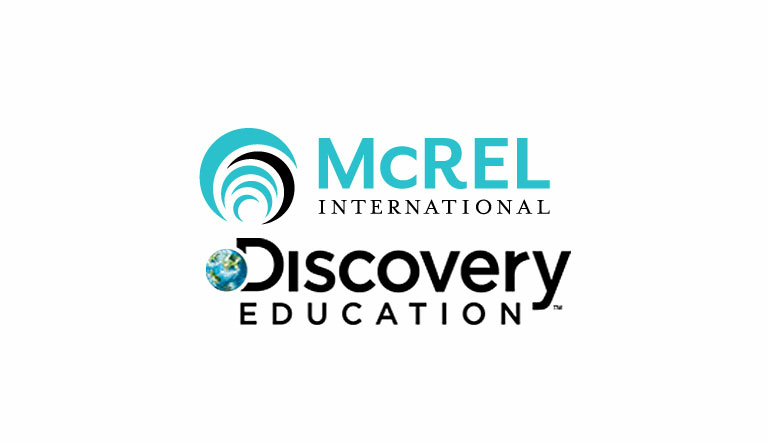 (May 29, 2018) – Discovery Education, the leading provider of digital content and professional development for K-12 classrooms, today announced it has aligned its popular Spotlight on Strategies content to McREL International’s six-phase model for learning. The alignment of this popular series of digital professional learning resources to McREL’s model helps educators quickly chose the appropriate classroom tactics for aiding the acquisition and recall of information. McREL International is a non-profit, non-partisan education research and development organization that since 1966 has turned knowledge about what works in education into practical, effective guidance and training for teachers and education leaders across the U.S. and around the world. Available in all Discovery Education Techbooks and Streaming services, the Spotlight on Strategies or SOS series offers creative, research-based instructional videos and supporting materials developed for teachers, by teachers. An example of an SOS can be found in a short video about the A-E-I-O-U strategy, through which students interpret information from images or videos they have viewed, write down their thoughts next to five descriptive categories, then pair-share their favorite parts. This strategy provides scaffolding that helps students look for and remember key ideas about the information presented in the video segment and provides a conversation structure for debriefing with classmates and reporting out. Another SOS example is the Table Top Texting strategy, which engages students in content by encouraging them to reflect and respond to videos or images they are presented by creating a written dialogue with their neighbor in the form of a “text thread.” In this way, students connect to digital content in a way they communicate on a daily basis as they are encouraged to think and respond on a higher level. Thanks to Discovery Education’s alignment of the over 130 SOS videos and their accompanying support materials to these six phases, educators can now quickly and easily find SOS strategies that support students’ needs no matter where they are on McREL’s model for learning. For more information about Discovery Education’s services and the Spotlight on Strategies videos, visit www.discoveryeducation.com, and stay connected with Discovery Education on social media through Facebook, follow us on Twitter at @DiscoveryEd, or find us on Instagram and Pinterest.